RELAX ON OUR LUXURIOUS UNSINKABLE SWIMMING POOL FLOAT! The stylish quilted design of this float with built in headrest provides excellent comfort and support. It measures 70"L x 25" W x 1.25" thick. 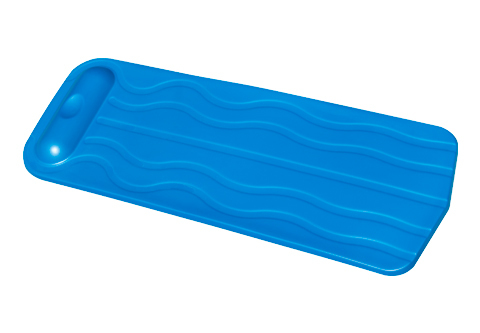 Constructed of ultra-soft, forever buoyant foam with beautifully molded edges and headrest. A special crack resistant, soft vinyl makes it comfortable and long lasting. The color is impregnated throughout the float so that it will not crack, chip or peel like other floats with only an outer color coating. This float is not an inflatable, so it will provide years of fun and relaxation. It is guaranteed unsinkable and comes with a lifetime buoyancy warranty. Available in Blue or Aquamarine.